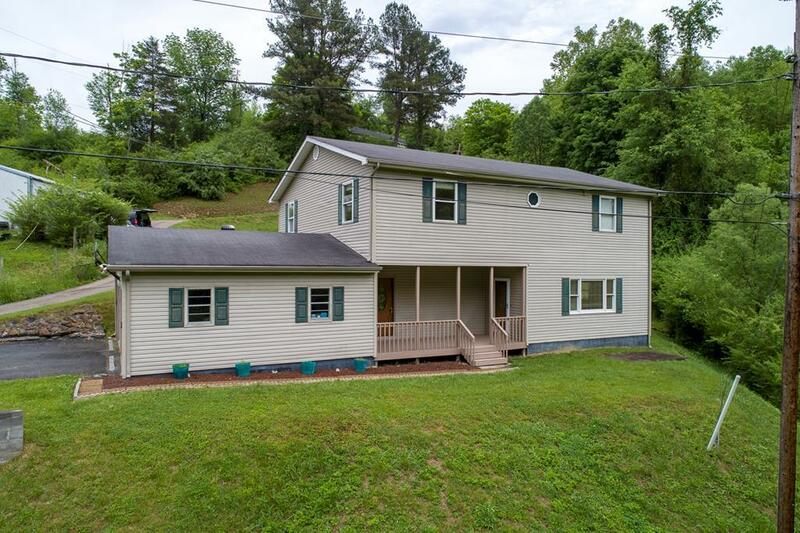 182 Jim Hess Road, Birchleaf, VA 24220 (MLS #64599) :: Highlands Realty, Inc.
HIGH SPEED INTERNET is available at this home! With MOUNTAIN VIEWS and over 2,500 sq.ft., it's ready for a new owner! On the first floor, you have a spacious great room with hardwood floors, gas fireplace, ceiling fan and is open to the kitchen with a pass thru at the bar area. The kitchen has raised panel wood cabinets with a peninsula island and all appliances. There is a family room, office, laundry/mud room and two full baths (one with tub/shower and one with a shower. The second floor has three LARGE bedrooms - all with large walk-in closets and hardwood floors! The large bath services all of the bedrooms and there is another office/playroom/multi-purpose room as well. The exterior offers so much - spacious two-level deck with steps to the above ground pool and a covered front porch. The attached garage is spacious. This home has vinyl siding, gutters and a paved drive. Insulated windows with blinds. Two heat pumps for heating and air. MOTIVATED SELLERS! Listing provided courtesy of Denise Blevins of Exp Realty.